The scenic beauty and cultural richness of Ireland along with the hospitality of its people beckon about six million foreign tourists to its shores every year. About 50 percent of these visitors come from the United States, Great Britain, Germany, France and Italy. Among those who travel to Ireland, about 40 percent are couples over the age of 44. Roughly 80 percent of the visitors make their living in white collar jobs or in a professional position. Only about four percent of those who visit Ireland on holiday work in jobs that don't require a particular skill. If you want to save money on a trip to Ireland, you should book a hotel and a flight together. These package deals include a variety of hotels in different locations, so you should be able to find something that fits your travel preferences and budget. For example, you can book a flight to Dublin airport coupled to a four-night stay in a three-star or four-star hotel in downtown Dublin. You can also choose a four-star hotel located about two miles from the downtown area. The quoted price per person for these packages includes hotel stay and round-trip airfare. 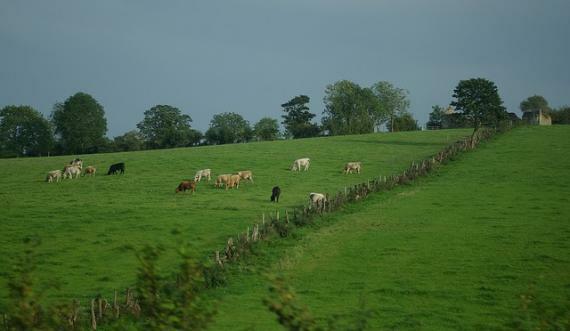 Other packages allow you to explore the Irish countryside. In these instances, the price per person includes round-trip airfare, hotel stay and car rental. One such trip involves a stay at a hotel in Waterford, Ireland, about 100 miles south of Dublin. For your convenience, you can pick up and return the car at the Dublin airport. Most tourists come to Ireland during the summer. The influx of foreign travellers to Ireland is at its peak during the May to September period each year. This is because the summer weather in Ireland is extremely pleasant with the average high temperatures in the 60 to 70 degree Fahrenheit range. The stunning beauty of the Irish landscape makes it one of the best places in the world for hiking adventures. One of the most awesome hiking trails is the Wicklow Way which lies south of Dublin. This trail winds through 78 gorgeous miles of mountains, forests, lakes and streams until it finishes in the town of Clonegal. You should be aware that you need to be in good physical condtion if you are going to hike through the Wicklow Way and other trails throughout Ireland. It would be wise to consult your doctor before you go. Regarding outbound travels, Irish people travel a lot to United Kingdom and continental Europe, but they're also frequent travelers to United States of America and Canada and the last years they also visit some emerging Asian destinations. In Europe, they prefer to spend their summer holidays in warm places to enjoy sea and sun, like Algarve region in Portugal, Costa Del Sol in Spain, beach destinations in France and Italy, Greek islands like Crete, Kefalonia, Corfu, Lefkada and Zante in Greece and Paphos in Cyprus.